There is a new cupcakery in town... Penfield to be specific. I got to try it out with Aprille, her mom and Joel on Saturday. 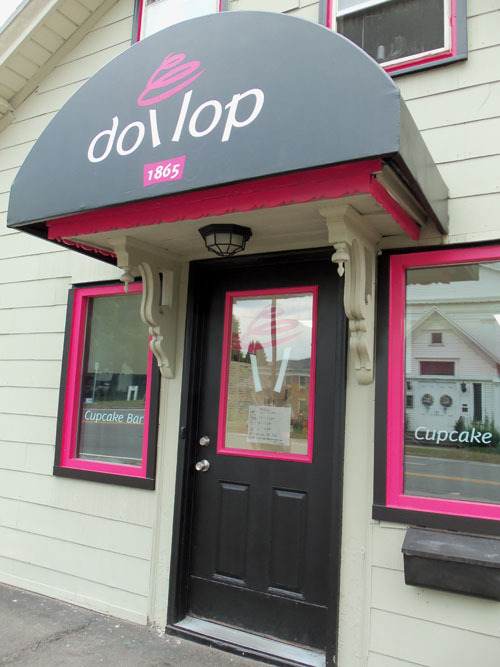 Dollop is located in downtown Penfield. I like the shop's black and pink color scheme. 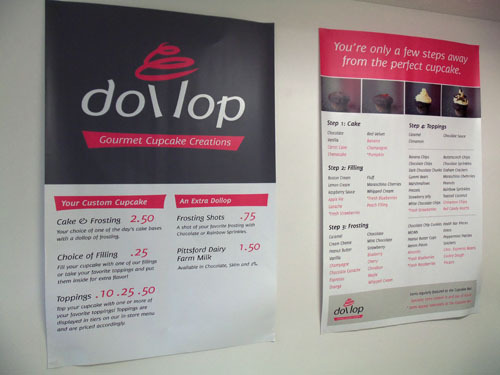 The cool thing about Dollop is you can choose your cake, your filling, a frosting and a topping. There are lots to choose from. They dig a little hole out of the cake to add the filling. 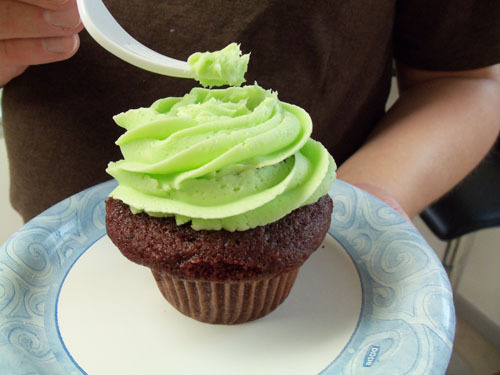 I want to know who is eating all the little cake plugs that are leftover? Aprille got a chocolate cupcake with an oreo baked inside. 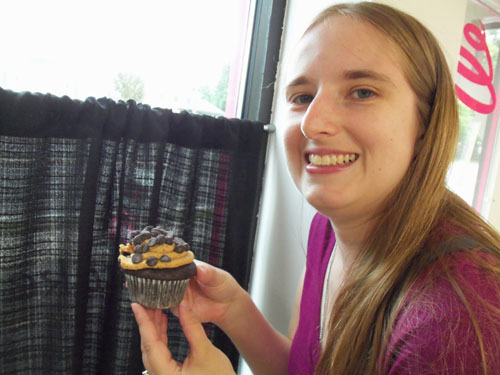 She had it topped with peanut butter frosting and chocolate chips. A work of art! 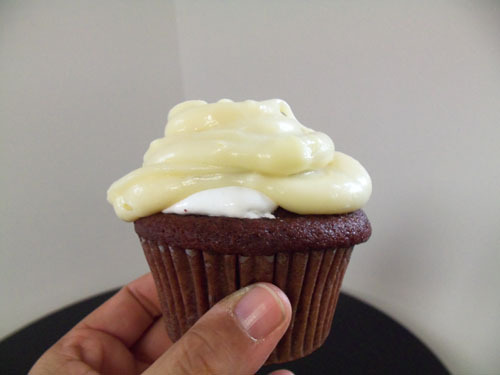 I got a red velvet with marshmallow fluff filling and cream cheese frosting. It was very good. Joel got red velvet cake also... but I can't remember what frosting this is. It's very pretty though! When we stopped by they had just finished a big catering order so they were a little frazzled and there weren't many cake choices left... they were even out of vanilla, so I'll have to go back and try them again. You can follow Dollop on Twitter and Facebook... I always like that! My bloglines feed is working now! Thanks for the help. I've been dying to stop there since they opened. Soon! Stefani - it's definitely worth a stop! It would be fun to see them on Cupcake Wars!